Bethesda, MD is a city in southern Montgomery County, Maryland. As of the 2010 census, the population of the city was 60,858. The city is situated to the north of the Potomac River between Washington, DC, Interstate 495 and Wisconsin Avenue. 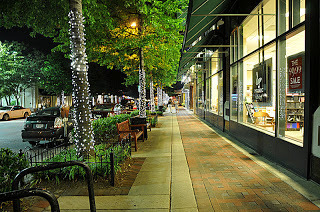 Bethesda is one of the most highly educated communities in the country, earning many recent honors and awards nationally. Outside of being on the map for top places to live, The National Institutes of Health (NIH), the Naval Surface Warfare Center Carderock Division, and the Consumer Product Safety Commission are all located in Bethesda, MD. Also, what was once known as the Bethesda Navel Hospital, is now the well known Walter Reed National Military Medical Center. Bethesda, Maryland is also home to Lockheed Martin, Coventry Healthcare, Marriott International, Host Hotels & Resorts, Inc., Bethesda Softworks and the Discovery Channel. Bethesda, Maryland includes neighborhoods like Alta Vista, Avenel, Ayrlawn, Bannockburn, Bradley Hills, Bradmoor, Brookmont, Burning Tree, Carderock Springs, Edgemoor, English Village, Glen Echo Heights, Greenacres, Greenwich Forest, Huntington Terrace, Kenwood, Landon Woods, Mass Ave, Oakwood Knolls, Parkwood, River Quarry, Rosedale Park, Springfield, Sumner, Westmoreland Hills, Woodacres and Wyngate.